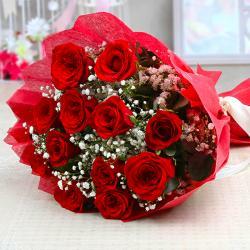 Product Consists: Bouquet of 18 Red Roses with lots of green fillers. 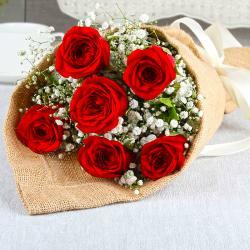 You will fall in love with this bright and attractive bunch of red roses without a doubt. This bunch contains eighteen stem in a tempting in red color. These red roses have been immaculately packed in cellophane and come with a matching ribbon bow on top for added effect. 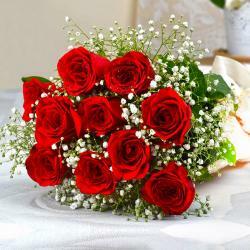 These roses make for splendid gifts on special occasions like Birthday, Anniversary, Just Because, Navratri, Children Day and many more. 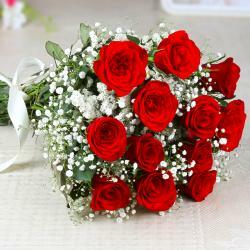 These red roses will bowl over your special someone with consummate ease. This will be a unique gifting solution without a shred of doubt. 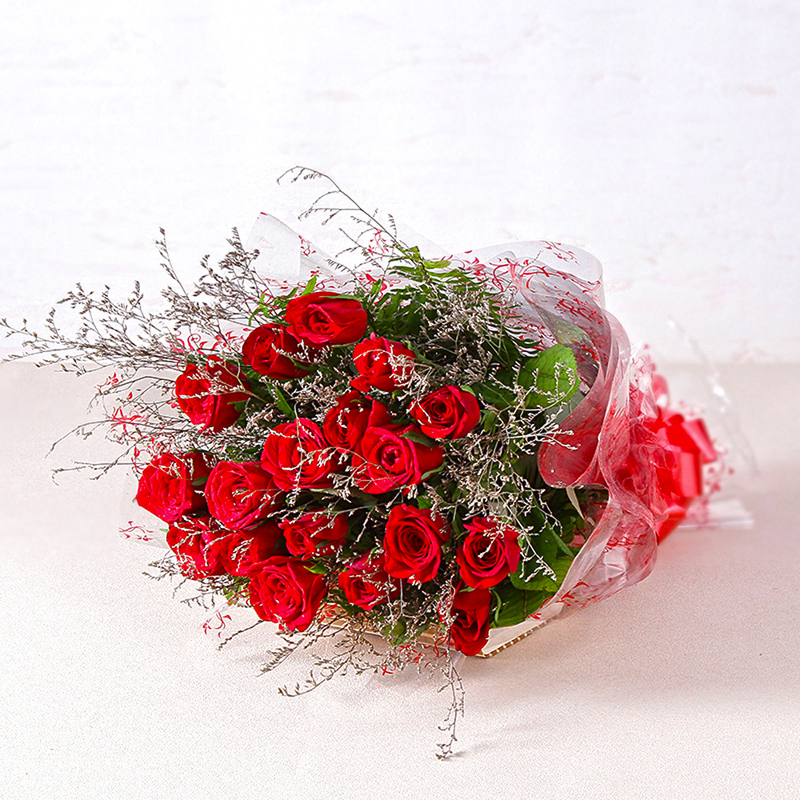 Product contains : Bouquet of 18 Red Roses with lots of green fillers.